My thoughts are with you. Mary, Margaret and I shared the same birthday and went through elementary and high school together in Elgin. She and Margaret always brought sparkle to any activity. They both enriched my life. Cherish the memories; she will live on in my heart. 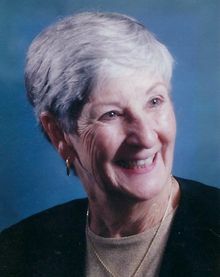 Growing up next door to the Lawrences on Gifford Street, Mary was one of my baby-sitters, along with Margaret and Donna. Wonderful memories of shared holidays, picnics at Trout Park and their dog, Snoopy. My memories of my EHS classmate are that Mary was always a very nice, cordial and caring person. She will be missed by many. May she Rest-In-Peace in her Heavenly home.